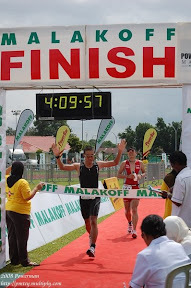 I've received the full results of yesterday 27th Panaga Triathlon. They've changed the yesterday results where the third runner-up was given to Fabrice Petrissans instead of Ben Peacocke. 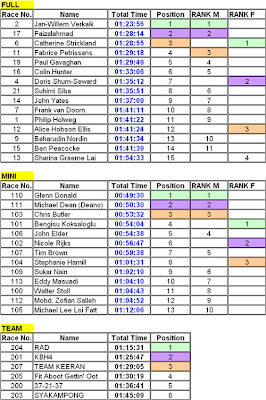 My rank has been upgraded from 14th to 13th Overall and from 11th to 10th in the male category. "Never Wins but Never Last"